Lucky, very lucky. 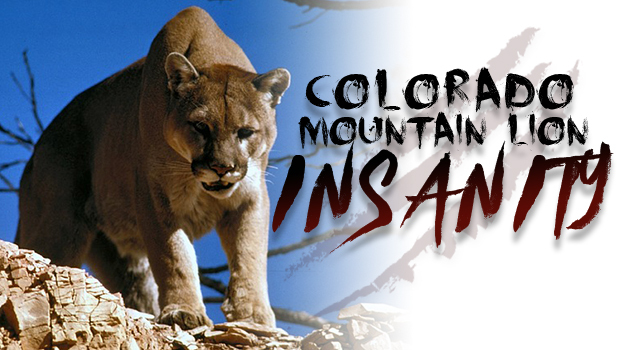 On February 4th a trail runner in Northern Colorado was attacked by a cougar. While the attack in and of itself is somewhat surprising given the rarity of the occurrence, the fact that the guy was able to choke out the cat with his bare hands is certainly the most incredible wrinkle in the story. A bear attack is one thing, a cat is an entirely different story. A bear attacks with brute force, overwhelming weight and smothering aggression. A cat on the other hand is one predator I certainly hope to never go toe to toe with. A cat attacks to kill not to intimidate like a bear most often does. A cougar attacks from behind with lightning speed and precision; claws so sharp and curved they act like Velcro on your clothing and skin, all the while the cat muscles you around into the perfect position for a death bite to your skull or spinal cord. Anyone who has hunted cats with dogs has seen the incredible agility and force these animals are capable of first hand, and it is beyond impressive. I won’t go into the fine details of such here, but let’s just say for a cat to outright crush a dog’s skull with one bite is well within the realm of reality, and a single swipe of a paw can all but remove the entirety of a dog’s face and knock his eyes out of their sockets. 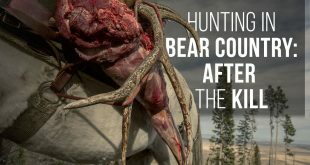 These deadly animals are certainly not child’s play and when they drop into kill gear, they phase into a trance that is unlike anything else in the animal kingdom. The eyes of an attacking cougar roll back inside his head for protection and it is, kill or be killed-no turning back. Lucky for this guy it was, be killed. Having skinned out my fair share of cats, I can say with nearly 100% surety this guy was lucky. Lucky this cat was an adolescent, possibly even a female. A full-grown man can and obviously did stand a chance with his bare hands against a sub-adult cat probably weighing between fifty and eighty pounds in live weight. Had that cat been a full-grown male, this story would more than likely have been much different. As if killing a cougar with your bare hands was not spectacular enough, killing a full-grown, 160-pound tom with your bare hands would be an entirely different endeavor altogether. Not really a “hold my beer and watch this” type of YouTube event. The killing efficiency of a cat that big is beyond most human comprehension and comprises a mauling grab from behind that pins your arms at your sides, claws sink deep into your chest and calves all while 160 pounds of live weight smothers you to the cold, hard ground with a groaning exhale as the warm breath of a hungry beast perks the hair up on the back of your neck just before the lights go out for good as four, two-inch canines puncture the spinal column at the base of your skull. Very few if any humans would be strong, or quick enough to fend off this kind of advance. Lucky for us, these big, mature cats are usually too effective in the wild to bother with human prey. A big male cat is beyond human consumption, he’s too big, too quick, too lethal and too smart to put a human being on his menu. Killing a deer, elk or sheep has become almost too easy for him. This leaves humans to the most desperate of cats, the outcasts. Younger adolescent cats of both sexes that have been recently kicked out from their mother’s oversite, forced to hunt and fend for themselves for the first time in life. These and the very sick are usually the cats that create such a stir in the human world, and thank goodness for that. This is what gives those who don’t know any better a mere chance at survival. A survival that usually depends on remedial weapons such as rocks, sticks and bicycles, even if it means choking a cat out of being with a bare set of human hands. A chance to walk away, to tell the tale, and what a tale it will be. Over population of apex predators in North America is a very dangerous reality in today’s world. Many states have overly limited or even outlawed predator hunting altogether. This goes beyond the normal bounds of wildlife conservation and often pits predator against human, but in the end, we both lose. Case in point, the state of California outlawed cougar hunting decades ago, bleeding hearts with little to no outdoor experience and an even a more remedial understanding of the concept of wildlife conservation voted to side with the cougars trying to save the species from sure extinction in California, or that’s what they were told by their environmentalist, animal rights masters. Most of them had never seen a cougar, so they must be rarer than a snow leopard or a Mexican jaguar, right? It turned out California had more than their fair share of cougars. When the dust settled half a decade later, the cougars had over populated to epic proportions, which in turn decimated the prey sources in the mountains and forests where they belonged, leaving the most abundant prey source, in and around neighborhoods and housing developments. Now the cats roam the streets at night in and around places like Los Angeles, Sacramento and Oakland, causing conflicts with humans, pets and livestock. This year the state of California will kill more cougars than hunters ever did any year before hunting the species was outlawed decades ago. This undercover predator control program will cost the taxpayers of California millions of dollars, in a state that is financially broke. Mountain lions and citizens both lose under these circumstances. Whether it be life, property or money, proper balance is critical to our natural world. 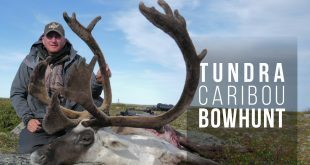 A balance that is best and most efficiently achieved through hunting and sound wildlife conservation, this is the North American conservation model, and it has been proven throughout the world over and over again. Our system’s effectiveness cannot be denied or refuted by logical human beings, ask Kenya, Namibia and Tajikistan. Now, I’m not saying more cougar hunting would have prevented this incident, but for the most part, only desperate predators attack humans, ones that are starving or territorially challenged. The best and only long-term solution to apex predatory control is sound and scientific population control managed through the use of regulated hunting. This is the only way to ensure the long-term viability of the species and its prey. This goes for wolves, grizzly bears, black bears and of course cougars. 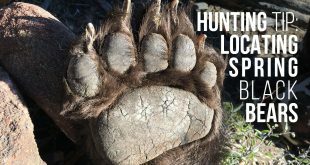 It’s a slippery slope for many of these hunts throughout the West however; first they outlaw spring bear hunts, then they outlaw bear baiting, then trapping, then cat hunting with dogs, then coyote hunting and calling, and then, well… use your imagination for the next step and I promise you, it won’t stop there. Just ask the cigarette smokers. The sad part is states like South Dakota, Oregon, Washington and now possibly Colorado and Montana are following California’s lead. The abandonment of the North American model is happening, in North America! Who would have thought. Just my two cents for what its worth. Sorry for the lengthy rant, it’s fifteen below zero outside and I’m cooped up. What say you? I am sincerely curious to hear your thoughts and feedback on the subject. 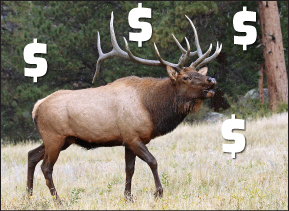 Yes, Colorado hunting is in deep trouble. CPW is a mess right now and being squeezed on all fronts. They constantly meet with other government agencies to develop their guidance and the marching orders are power and control. They develop strategies without science and employ biologists straight out of CSU who know next to nothing. Now that DOW merged with Parks, management tactics treat the whole state like a zoo or nature preserve. Crazies in Crested Butte and Boulder call the shots and the public is generally ignored. Spend your license dollars elsewhere because Colorado is a lost cause for the serious sportsman. Good luck. The DOW trapped and killed 5 mountain lions that came into Rifle,Co This month. I bow hunt and encounter lions every year. My buddy and I had a lion with a rabbit in its mouth cross the trail ten feet in front of us this year. Fewer people are hunting with hounds as if they tree on bordering private they cannot go in and get their dogs if they can’t get permission. Now groups are trying to transplant 500 wolves into the state. Colo is going downhill fast. That’s why I left. Couldn’t take any more of the insanity. A once proud and majestic state is now overrun by whackos. Fortunately here in Idaho the state is actually increasing the availability of predator/ wolf, cougar, bear hunting and trapping. But, with all the talk about these animals killing game, attacking livestock, pets (the woman who thought she was breaking up a dog fight) and now people, are there really more people going out and hunting them? The opportunities are there, at least in this state. Also there’s the mindset among some hound hunters, (been guilty of it myself), of not killing female lions in order to protect the breeding population even though the female quota hasn’t been filled in years if ever. Everyone of course would rather kill a big tom than a young female. Same with bears, the problem bears are often young smaller bears, but they often walk because they aren’t quite what the hunters are looking for. So we as hunters also play a role in all of this. Just my 2 cents. That was a good observation, Michael. Michael, I would leave this thought regarding young predators. A portion of the issue seems to be related to the lack of removal of the dominant animals which command a specific area chasing the less dominant out of that area. This means the weaker and younger of the species start roaming in search of food resulting in interactions and problems with those animals. As I sea it, the socialist controlled Dems will not stop until all constitutional rights are abolished.I don’t believe America can stop the deep slide towards socialism short of a civil war or hopefully California secedes from the union. What do you think?? Rocky I have a feeling you hit the nail on the head with the civil war? These people are plum nuts! One of these days real soon they are going to poke one too many times and we will have to respond! I remember my oath I took while entering the military… I shall protect my country from foreign and domestic threats and I see the domestic threat on the horizon! Happy hunting to all that have the passion as I do! Spot on, wish this article would reach more than the subscriber. Hey Gut: Very well stated. The American Conservation model is under attack. There is a push to protect Lions in Arizona and I hope and pray it does not happen. Junk science is the cancer of conservation. Frankly, I have spent over 60 years hunting, camping, and hiking in California, Nevada, Arizona, Colorado, New Mexico, and Texas, I have never seen a cougar in the wild. That does not mean I haven’t seen their work, elk and deer kills, or that they are not there. Too many liberal voters vote with their “feelings,” and not their brains! Good rant. The only point that I will quibble over is the length of a mountain lion’s incisors. Sitting on my fireplace mantle, is the skull of a 200+ lb tom that I took 3 years ago in Colorado south of Meeker. They don’t get much bigger than that. I just measured the incisors – 1 1/4″. Other than that minor detail a good post. Colorado is a mess on a lot of fronts. And there’s currently a petition up for vote to outlaw bobcat hunting and trapping even though DOW surveys indicate there is a stable/increasing population. The petitions main argument is bobcat hunting and trapping needs to be eliminated to protect the lynx population. It claims that lynx are to similar looking that hunters and trappers are unable to properly identify them thus resulting in to much accidental killing of lynx. The author of the petition is a veterinarian who works for PETA. Go figure!! My fear is this bill passes because the Colorado hunting population that participates in bobcat hunting and trapping is small and it won’t get the attention it deserves. If the Anti’s get this passed what’s next? Mountain Lion? Bear? Coyote? Elsk? Deer? I often wonder if my 14 and 16 year old sons will be able to hunt when they get to be my age. Great rant Guy. 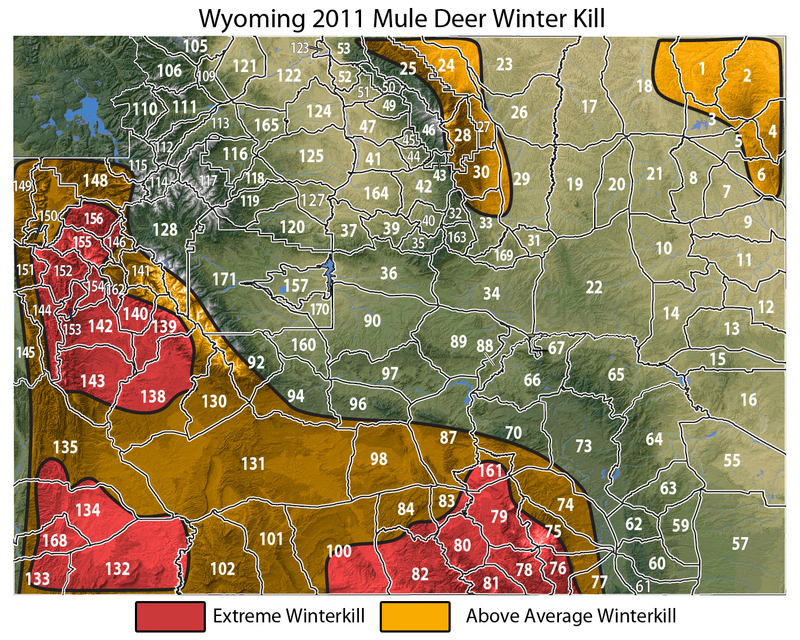 Oregon was one of the best kept mule deer secrets out there until cat hunting was outlawed in 1995. Combine predation and a couple of bad winters and go figure the deer are gone…conservation and wildlife management should never be decided by votes. Here in western Montana Region 2 they are growing at an alarming rate with the current management. The last scientific study found 170 adult cats in 2 hunting districts in the upper Bitterroot. It has been proven that an adult will consume 10.000 pounds/year biomass-do the math and that’s why Mule Deer are in trouble all over the west. When I lived in and cat hunted that area (Philipsburg/Anaconda) one of the issues I noted was the way Fish and Game gets their numbers. They send a survey out and the cat hunter is responsible for stating how many cats they encountered. Many of the cat hunters I knew were not forthcoming as they didn’t want as many killed so they had to work less to find a track. A lot of them simply wanted to chase the cat, I wanted to kill them to help the deer but got tired of paying the trophy fee every year for a cat I had no intention of mounting. I agree with Shayne, I have been hunting N.E. Oregon high country for mule deer for 30 plus years, both as a resident and now as a non-resident and I am DONE donating my $450.00 for a mule deer tag! With predators out of control, there is so few deer to be hunted. We have noticed a continued reduction in the deer population as the years have passed by since Oregon voted to outlaw predator hunting with dogs, now the wolves have taken up residency in the wilderness and BAM the deer are GONE! Add the fact that bears account for a sizeable reduction in the fawn mortality during the spring birthing season and you can get the picture why the deer are hurting. Oregon ( Co-.Mont-.Wy.-Wa.-Ca.-Ut-.Id.) voters need to vote pro-hunters and pro-game conservationists into office because unfortunate as it is, it is a voter issue! I agree! 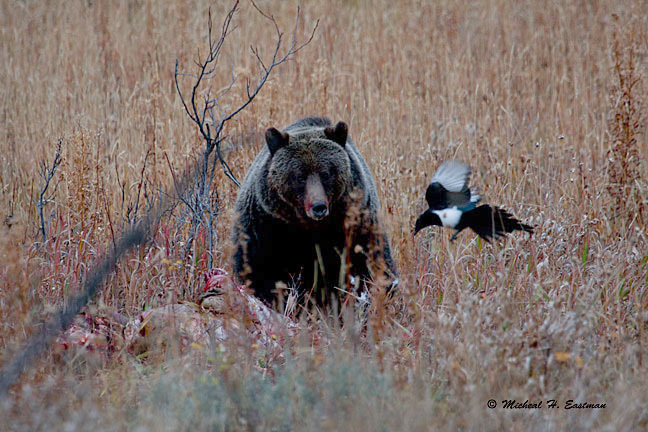 Anyone that likes to hunt elk should also consider bear hunting in their favorite elk area. Black bears do a number on calve elk all spring and summer. To add to your point, one of the local news stations here in the metro Denver reported on Monday or Tuesday night that CO DOW had to kill an entire family of mountain lions – a female and her four adolescents – because they had attacked and killed a family dog and injured another of their dogs. As I watched the report, I could not helped but think what a waste…..
Great article. The location the cat was killed is very close to the city of Fort Collins so hunting there is not likely. Before they mentioned the size I knew for sure it had to be a juvenile. Now my wife can see why I carry in archery season although if you don’t see them first it’s over. Hopefully I continue to only see them on trail cams and someday I can afford to hire someone with dogs and hunt them. Let’s just sell California to China for 20 trillion, along with all the dim witted liberals that live there!! I live in South Dakota. We’ve been issuing hunting permits for cats for over a decade for the reasons you stated. Although hunting with dogs is not permitted. I live in Ca.. I have heard and seen it all about the mountain lion here. Talked first hand to game wardens. I know how many the kill and we pay for. The big secret the anti’s don’t know or don’t want to know. I’m sure the decline in deer herds has something to do with it also. Your article was so spot on . It said everything I would of said and then some. Excellent article. Thanks. I was everybody could read it. I was at the dentist yesterday and the woman who cleaned my teeth said her brother and sister-in-law were hiking near Horsetooth reservoir and came across the guy that had just killed the cat. They ended up driving the guy to the hospital in his car and said his face looked like he had Hollywood makeup on! I’m sure that Californians do not know what goes on behind the cloak of the wildlife department controlling problem cats, “what you dont know doesn’t hurt”! Here in Colorado where we have outlawed spring bear hunts and hunting with dogs, the bear population has exploded. 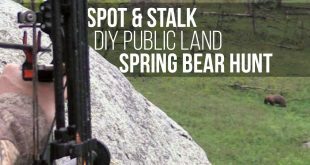 I was raised in the west side of the state on a ranch, in over 20 years I saw 1 bear, though we had proof that there was a healthy population in the area. Just to compare to today, 3 years ago the federal wildlife service killed 60+ bears in one corn field in one day. Due to overpopulation the bears have moved into the valley and they were eating corn like raccoons on steroids! Additionally parks and wildlife destroyed 100+ problem bears between Grand Juntion and Aspen in the same summer! These are all facts that I know to be true! What happened in the rest of the state, I can only speculate….do the math. We shut down a state park due to the idiot’s taking selfies with bears 5 feet away, in a park overlooking Denver, overrun by displaced Bruins. The story goes on and on….what we dont know doesn’t hurt! For relevant history, this topic of lions comes up again after another attack on a jogger, just after a lion killed a jogger in 1994 near Auburn, California. That happened soon after the state banned lion hunting by ballot Proposition 117 in 1990. The ballot wording made it sound to the voter like it was mostly saving wildlife habitat in general with state grants and helping endangered lions in the meantime. Before that, state biologists went around saying they knew best and held controversial ‘hearings’ in arrogant style. So basically the public got tired of bureaucrats pretending to know better than anyone, and reacted. The lion tags in my license agent safe were then went back to the state. Then I was fishing in the canyon just after the attack and saw the tracks where the 85-pound cat jumped onto the old road and chased the jogger. This policy-results pattern can repeat anywhere in the modern era of social media especially. Now we are dealing with more bad bears since the state banned hound hunting. Time to take more serious stock of what it means to be a sportsman, public official, or policy advocate. The consequences of error can be awkward for all concerned. 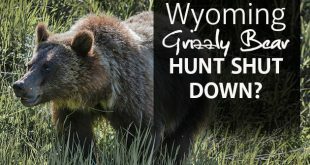 Before we blame California fruits and nuts any further for Wyoming wildlife issues, as Wyoming Wildlife magazine also has, suggest that state wildlife biologists have not always done a good job of fostering reasonable public policies. Scientists can often not find a policy in a paper bag, much less promote it well among commissions and legislatures. We need remedial education for game department staff in how policy notions evolve into actual regulations with a proper feedback evaluation loop that makes them ultimately succeed for the benefit of the public and the species. Also provide more environmental education for the general public. Not just point fingers west to another state that also struggles with growing and diverse urban populations setting the agenda for hunting in the rural areas. I live in Southern Oregon, Klamath County, we also see the devastating affects of cougars on our declining deer population. My brother and I and one neighbor have lost two horses due to cougar chase’s that resulted in broken legs, the horses eventually had to be put down, The trapper did however catch the two culprits. The anti’s think they are all warm cuddly animals just like wolves and Grizzly Bears. We have our own trapper here in Klamath County paid almost entirely by rural residents, farmers and rancher who continue to see the deadly results mostly of coyotes but as mentioned by cougars & wolves also. We also see the overpopulation of cougars pushing north from bordering California counties into Klamath County. In eastern Oregon, I am a 62 yr old hunter. My husband, 64 yrs, hunts as well – we spread out as we hunt, taking different ridges etc. While always wary and watching our surroundings, we are also looking for what might be looking at us. Have come across cougar kills – slaughter is a better word – of deer, elk and cattle. It is a blood bath for sure. Maybe those who think these critters are cuddly should venture in their world for a bit? You are right on Guy. I’m a Northern CA resident and have experienced the ludicrous, liberal bleeding heart legislative decisions that are wrecking our wildlife and endangering those of us who regularly visit the great outdoors. I’m out hiking, hunting, fishing and horseback riding on a regular basis and encounter cats or their kills much too frequently. A few years ago while bowhunting elk in Eastern Oregon, I unknowingly called in a tom lion. When he would not back off I was lucky enough to get an arrow into him at a whopping distance of 10 ft. The son of an acquaintance of mine had to do the same to a very large tom here in Northern CA this past deer season. Don’t for a minute think this can’t happen to you. Now, to nitpick you a bit. CA is not broke. We actually have a significant surplus in our state budget, thanks to our ridiculously high tax rates. Your point is well taken that there are much better ways our tax dollars should be spent, but please be as factual as possible so you don’t leave the liberals any more toe holds. Thanks! Yes California has many lions, with the highest density in the country on the brushy central coast. Yes GPS collar studies online found one lion including kittens per 57 square miles average. Yes lions killed a couple of women in 1994. Yes there used to be generous bounties but lion hunting was stopped in 1972. Yes hunters have shot lions when attacked, and the game department congratulated them on their marksmanship. Yes some archery hunters were cited for shooting lions head on at close range and couldn’t prove self-defense. Yes some bikers outdistanced the cats. Yes lion tracks will be in your footprints in the snow five minutes after you passed, in case you didn’t notice until you come back. Yes we will have to use non-lead ammo after July 2019. No the liberal Cali lions are not invading other Western states. Yes we do send a lot of fruits and nuts around the world. Guy..you are dead nuts on here. I’ve been saying this for years, especially as a former Californian observing a fairly radical change in number of lion attacks on humans in that state due to their lion policy. The trend is certainly heading in the direction of bans instead of healthy management. 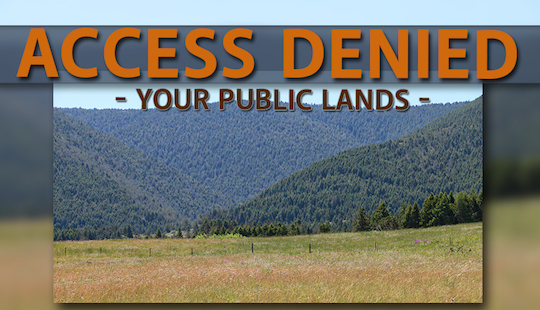 Now in my state of Arizona, the HSUS has been partially successful in getting legislators and AZF&G commissioners to create mountain lion zones where lion take limits have been established. Much like bear, regulation requires a phone call to determine if the lion take limits for a zone has been reached. It seems an apparent attempt to limit lion take with trajectory towards banning the take altogether..unless I’m missing the mark!